The left has accepted the outright lies told by the Islamists as a means of undermining political opponents. This is the old tactic of scapegoating/blaming the Jews/Israel for the ills of the world, again failing to take responsibility for their own behavior. Linda Sarsour, women’s movement activist and representative of the terrorist organization Hamas in America, recently redefined anti-Semitism at the New School in N.Y. She reformulated the age-old hatred of Jews so that progressive left activists could continue to be anti-Zionist or anti-Israel. Hating Jews is not the definition of anti-Semitism under this new language formulation. Criticizing progressive left activists for being anti-Israel is the new definition of anti-Semitism. Thus, this is a corruption of language and evidence of compelled speech, the very kind that Dr. Jordan Peterson of the University of Toronto refused to use in Canada. This redefinition by a Muslim who represents a terrorist organization in America is a ploy and a shield to protect its own anti-Israel activities. It is benefiting the leftists to the detriment of the Jews and of Israel. The American Jewish community needs to have the necessary discussion about its safety and security. The time to educate is now so that the community has the tools to take collective action on its behalf. [A]lthough they protected Jews from violence and declared overt anti-Semitism a crime, the Communists espoused a program that promised slow death for Jews as a religious community and a nation. Measures outlawing private trade and manufacture, passed in the early years of the Soviet regime, undercut the economic base of Jewish life, creating millions of unemployed. The regime’s anti-religious policies affected Jews no less than Christians: as early as 1919, synagogues and other religious buildings were made liable to confiscation. Hebrew was declared a foreign language and Zionism a subversive doctrine. In the 1920’s, especially during the relatively benign period of the New Economic Policy, Jews managed to circumvent many of the prohibitions on their economic and cultural activities. But all this came to an end in 1929 when Stalin undertook in earnest to realize Lenin’s revolutionary agenda. . . . By the time he entered into his alliance with Hitler in 1939, Stalin had restored many of the tsarist discriminatory laws, setting quotas on access to educational and bureaucratic opportunities and closing altogether the more sensitive positions. He meant to go farther. In 1942, as Germany’s armies were deep on their murderous mission in the Soviet Union, Hitler confided to his associates that Stalin had promised Ribbentrop “he would oust the Jews from leading positions the moment he had sufficient qualified Gentiles with whom to replace them.” . . . In the decades since Stalin’s death his successors have done away with the most egregious manifestations of persecution, but discrimination against Jews remains in place. 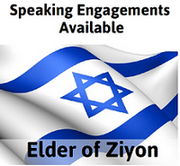 There are no Jews in the Politburo and hardly any in the upper echelons of the military. Strict quotas are imposed on admissions to institutions of higher learning. [Mikhail] Gorbachev’s reforms, which have eased Soviet discriminatory policies, have also allowed the emergence of overtly anti-Semitic movements, of which Pamyat [“memory”] is the most notorious. . . . Hence very many Russian Jews see no future for themselves and their children, and if given a chance would emigrate. Recent Israeli estimates are that a continuation of Gorbachev’s liberalized emigration policy might lead to the exodus of at least 500,000 Jews. A community that a century ago was not only the largest in the world but also culturally the most vibrant has been destroyed by a regime that many Jews in and out of Russia once regarded as a beacon of hope. In anticipation of the inauguration of the Guatemalan Embassy in Jerusalem’s Malcha Technology Park on May 16, the city illuminated the Old City walls with flags of Guatemala, Israel and the United States along with a message thanking President Jimmy Morales Cabrera of Guatemala. Morales and the Guatemalan ministers of foreign affairs, defense and economy arrived in Israel earlier in the week to prepare for the event, which closely followed the official opening of the US Embassy in Jerusalem. Guatemala’s embassy was originally in Jerusalem and had moved to Tel Aviv in 1980. Before the ceremony inaugurating the new embassy, Prime Minister Benjamin Netanyahu and Guatemalan President Morales held a private meeting as did their wives, Sara Netanyahu and Patricia Morales. President Reuven Rivlin also met with Morales. This should be clear enough, even for clueless Conor Powell, that If you don’t show up for Israel it means you’re showing up for Hamas. That’s the tribe of terrorists who rule Gaza with love and tolerance for nobody, including their own children. Why, for Fox News, is Powell dishing this Hamas propaganda about right of return to “ancestral homes” that can only fool a reporter who knows nothing. Well, what can you expect from today’s journalists except zilch city. On the political front, however, Democrats occasionally know right from wrong. I said occasionally. So in or out, as we’ve been saying. You can’t be half for Israel, where every child is precious, and half for Moloch who practice child incineration. Was this a boycott? Either way, mark them as absent without an excuse. The Democrats were not there in Jerusalem when it counted, so count them as sharing the values of Radical Islam. Include them with Hamas, ISIS, al Qaeda and Hezbollah. Nothing wrong with beheadings, wife beating, gay bashing, honor killings, and capricious mass executions. It’s a sale, according to this new wave of Bernie Sanders Liberalism and… we should try it at home. One of the unique blessings residents in Miami, Florida, have enjoyed for the past three decades has been our remarkable representative in Congress, Ileana Ros-Lehtinen. She has served with wisdom, heart and courage to advance the well-being of our entire community and to protect untold numbers of people throughout the world where democracy and human rights have been threatened. We will all lose an invaluable champion for justice and human rights in Congress when Rep. Ros-Lehtinen retires this year, but we eagerly wait to see what new, exciting and worthwhile endeavors she will undertake on behalf of those who need her voice and strength. This month, Rep. Ros-Lehtinen, or simply Ileana as she is known among her constituents and colleagues in Congress, received two honors that recognize her indispensable contributions: the honorary Woman of Valor Award from Temple Beth Am in South Miami, and recognition by the State of Israel, in commemoration of its 70 years of independence, as one of 70 Americans who have made “a uniquely valuable contribution to Israel or its alliance with the United States.” These honors are well-deserved, as we have learned first-hand working with Ileana on several issues of profound concern to the Jewish community. First, Ileana has shown unparalleled leadership in supporting Holocaust survivors. She has taken on powerful business and political interests in the process, often at great political expense, and survivors and family members are very grateful for her commitment. Sherry Sufi, Policy Chairman, Liberal Party of Australia (WA Division) organized this debate and discussion at All Saints' College, Bull Creek WA on 17 May 2018. It was a truly admirable effort to arrange the opportunity for such a civil conversation, with the following six eminent panelists. Regretfully, as the discussion proceeded, I increasingly gained the impression that the Arab side of the debate is trapped in its pursuit of an all-or-nothing mission, and so peace is NOT possible until that changes. “Palestinian” roots in the area go back 10,000 years (despite the fact that the UNRWA definition of a "Palestinian refugee" is someone who lived in Israel from 1946, and lost their home in the 1948-9 war AND their descendents for ever after). It has carried out major military operations against Iranian positions in Syria and says it completely destroyed the infrastructure built by the Revolutionary Guards there. Assuming that half of this estimate is true, Israel would have curtailed Iran’s strength for the first time since it entered the war nearly five years ago. Israel has openly stated that it intends to eliminate the Iranian presence in Syria, increasing the likelihood of further confrontation that would also be violent. If Israel succeeds in getting Iran and its foreign militias out of Syria, the balance of power among the belligerents would change. Who would replace Iran? Would the Russians increase their presence? Would it be the Arab forces, mostly Egyptian? Or would there be an independent political movement under the UN’s auspices and overseen by the blue helmets? On another hand, Israel says it’s concerned in pursuing Iran’s nuclear program and it will try to have a role in any military confrontation or military siege. A direct confrontation is highly unlikely, but there may be smaller military operations against the Iranian presence outside of its territory. The aim is to put pressure on the regime in Tehran to withdraw its fighters from Syria, Iraq and Yemen, or to embarrass it in front of its citizens and peoples of the region, as happened in Syria last week. Thanks to Iran’s expansion, Israel’s regional role is growing more than ever before. Previous confrontations between Israel and Iran have always been through Tehran’s agents, like the Palestinian Hamas Movement and the Lebanese Hezbollah Party. The Iranian command, particularly the Revolutionary Guards, must be extremely embarrassed because it lost the recent confrontations which resembled a semi-state of war as this is the first there is a battle of this size between the two countries. As long as the US administration entrusts this new role to Israel, and if it is suitable to the Arab parties, it is likely to expand in the future. Israel is a relatively small country, roughly the size of Kuwait, but it has a superior regional military capability. Taking advantage of tensions and the changing situation, it is establishing a new position for itself. The rise of Israel coincides with the end of the long US abstinence from transferring its Israeli Embassy to Jerusalem, and with the inclusion of Egypt in solving the security problems in the Gaza Strip as a result of the demonstrations on its border. Trump has knocked away all of these components. In his opinion, the United States is a superpower that can and should rally its economic, political, and military forces to shape a situation that will protect American interests. The moderate Sunni Muslim camp and Israel are natural allies, and Iran can definitely be restrained so that it will not reach the level to produce a nuclear weapon. Additionally, with regard to the Palestinians, Trump has rejected the false narrative of Israel’s neighbors, and he supports recognizing the plain truth and reality of the situation. In light of this, he transferred the U.S. embassy to Jerusalem and cut aid to the Palestinian Authority until it stops adhering to its scandalous policy of paying salaries to terrorists. Trump is not deterred by the passivity of the Europeans or the resistance of Russia (as also proven by the Western attack on Syria led by the United States). Against the backdrop of U.S. and Israeli firmness, the ball is now in the court of the rivals that benefited from American weakness during the Obama period. The Iranians are furious, of course, because Trump has taken away the amazing gift that Obama gave them – a sure route toward a nuclear weapons arsenal and the freedom to create an Iranian hegemony in large parts of the Middle East, from where they can also pose a direct threat against Israel. The Iranians want to react powerfully, but they understand that the real balance of power and their weak economy could become much worse. Therefore, a debate is expected within the Iranian leadership. Even if the voices supporting caution prevail and they tenaciously hold onto the rest of the signatories of the nuclear agreement, more extreme Iranian elements may put the entire ruling structure in danger by taking an aggressive step of escalation. The Palestinians will express their anger over the next few days through violent demonstrations and attempts to carry out terror attacks. However, when the smoke disperses, they will need to ask themselves if the time has come for soul-searching. Hamas is expressing dissatisfied noises indicating recognition of its weakness, and in the future, the Palestinian Authority may be compelled to deal with the ramifications of its insistence on steadfastness to the struggle against Zionism. The PA may come to understand that the situation has changed. Apparently, North Korea’s Supreme Leader Kim Jong-Un has shown everyone the way. Israel is pleased with Trump’s recent actions, which are creating a United States-Israel front and strengthening shared interests with pragmatic Arab states. At the same time, Israel’s direct challenge to Iran’s military presence in Syria has placed an exclusive burden on Jerusalem’s shoulders. It is not clear whether the U.S. standpoint on the Palestinian issue is in total sync with Israel’s stance. Israel has always shown an interest in having cordial relations with Turkey, an important regional power. Following this week's mutual expulsion of diplomats, Jerusalem has no desire for a further escalation in the bilateral relationship. It is advisable to adopt a policy clearly distinguishing between the Erdogan government and the people of Turkey. The struggle over the soul of Turkey is not over yet, and sensible Turks may yet be able to overcome the current dark days. Erdogan deserves to be portrayed as he is: an anti-Semitic Islamist, a ruthless dictator and an impulsive bully. Yet, Israel should resist the temptation to "punish" Turkey by adopting a resolution in Knesset recognizing the "Armenian genocide" – an empty gesture that will only antagonize many Turks of many political hues. Israel should ring the alarm bells about Turkish adventurism. Under Erdogan, Turkey has become a dangerous country. It is challenging the agreed borders with Greece. It bullies Cyprus, a third of which is occupied by Turkish forces. It has a military presence in Iraq and Syria and bases in Qatar and Sudan. 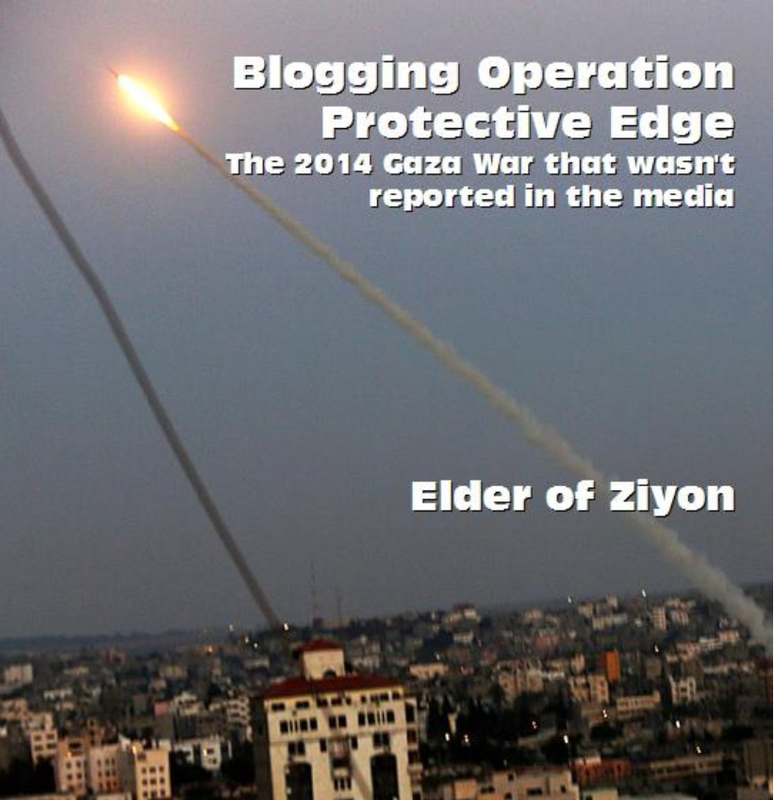 It dreams of establishing a front against Israel on the Golan Heights. Therefore, it is imperative that the U.S. administration and Congress halt the sale of F-35 fighter jets to Turkey, as well as any other military equipment in the pipeline, in order to prevent strengthening the Turkish military. Erdogan's Turkey is not a reliable Western ally. Strengthening the Turkish military might encourage Erdogan to engage in additional military adventures in the Middle East. Turkey is a serious problem for Israel, but also for the moderate Sunni states and for the West. The most concerning development in the current crisis between Israel and Turkey is the joint statement condemning Israel from President Recep Tayyip Erdogan's ruling Islamist party and the opposition Republican People's Party. At the height of the presidential campaign for the early elections that Erdogan forced on his country, it appears an anti-Israel political consensus has been reached that is completely unrelated to the violent events Hamas has been instigating on Israel's border with the Gaza Strip. Through the joint statement, the secular opposition party sought to prevent Erdogan from using anti-Semitic incitement against Israel as a campaign tool, as he has done in past Turkish elections. Thanks to Erdogan's efforts, a majority of Turks no longer see Israel as an ally but as an arch enemy. Until now, Israel had for strategic purposes sought to maintain ties with Turkey in the hope that once Erdogan was no longer in power, the old alliance could be rebuilt. But the systematic and consistent damage Erdogan has caused during his many years as Turkey's leader is absolute. His hatred of Israel goes beyond populist opportunism and deep-seated religious animosity. By exploiting the widespread popular belief in Turkey in conspiracy theories according to which the descendants of the Sabbateans are secretly working to take over or destroy Turkey, Erdogan has made anti-Semitism his country's official policy. If a political alternative ever comes to power, it will not be able to undo the damage Erdogan has caused. Moreover, it will in all likelihood preserve his hostile approach to Israel and the Jews in order to establish legitimacy in the eyes of the people. Turkish President Recep Tayyip Erdogan on Friday compared Israel’s actions against the Palestinians in Gaza to the Nazi genocide of the Jews in World War II. “There is no difference between the atrocity faced by the Jewish people in Europe 75 years ago and the brutality that our Gaza brothers are subjected to,” he told a summit of Islamic leaders in Istanbul. Erdogan has been one of the fiercest critics of Israel and has raised the level of rhetoric in recent weeks. On Friday he also organized tens of thousands to rally against Israel in Istanbul. “I will say openly and clearly that what Israel is doing is banditry, brutality and state terror,” he added. 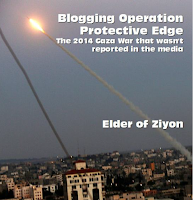 JCPA: What Role Should Israel Play in the War in Syria? Since Israel is already an integral part of the war in Syria, should it only be satisfied with a direct strike against Iranian activity? Or, should Israel, like the rest of the participants in the Syrian turmoil, make a series of pacts with any side interested in an alliance? Should Israel express an opinion regarding the most appropriate solution to the Syrian problem? It is possible to make such a deal with the Kurds, who are already allied with the United States. They are able to block the Shiite advance, and they have already proven in the war with ISIS that they are a formidable military force. The Kurds seek a confederative solution with Syria, which would also be the best solution for Israel. Maybe a time will come when Israel can also express an opinion regarding the type of solution that it would prefer. The division of Syria seems to be the best solution for Syria in particular and for the Middle East in general. Congress is set to consider a new measure to recognize Israel's sovereignty over the contested Golan Heights region that separates Israel from Syria, a key piece of territory that has become all the more important since the civil war in Syria brought scores of jihadist fighters, including those backed by Iran, into the region. Rep. Ron DeSantis (R., Fla.), a member of the House Foreign Affairs Committee, introduced on Thursday a resolution that could lead to an historic recognition by the United States that the contested area fully belongs to Israel, according to a copy of the amendment obtained by the Washington Free Beacon. Israel annexed the Golan Heights in 1981 following the Six Day War in the late 60s with Arab nations in the region. The United States has declined for decades to take a position on the status of this territory, but following President Donald Trump's decision to move the U.S. embassy in Israel from Tel Aviv to Jerusalem, DeSantis and others see an opportunity for the United States to recognize another territorial reality—that the Golan Heights will not be given back to Syria, particularly in light of the strife gripping the country. The amendment puts the United States on Israel's side in the land dispute and describes the Golan Heights as a key piece of territory that cannot fall into the hands of Iran, which has staked claims in Syria and continues to threaten Israel's northern border. "It is the sense of the Congress that the Golan Heights represent an integral part of the state of Israel and are crucial to the ability of Israel to safeguard its borders and maintain its existence," the measure states. "Given the civil war in Syria and the expansion of Iranian influence in Syria, the United States should recognize Israeli sovereignty over the Golan Heights," the amendment adds. The House Rules Committee is in possession of the measure, but have yet to take a stance. Prime Minister Benjamin Netanyahu said Thursday that Israel has thwarted terror attacks in more than 30 countries, appearing to confirm a minister’s claim on the extent of Israel’s intelligence sharing efforts. “Israel’s security services and our remarkable intelligence services have prevented terrorist attacks in over 30 countries, major terrorist attacks — the downing of aircraft,” he said during a meeting in his office with the Panamanian president, referring to remarks in January that Israel has prevented hijacked airplanes from crashing into European cities. “But today we have prevented such catastrophes by sharing our intelligence with other countries, as we share with our friends in Panama,” added Netanyahu. Netanyahu did not provide specific details about the attacks Israel helped prevent, nor the countries that were targeted, and his office did not respond to a request for clarification. The Palestinians intend to submit applications to join three United Nations agencies as full members in the coming days, a Palestinian Authority official said on Thursday. The three agencies include bodies that PA President Mahmoud Abbas previously told the US administration they would not join, according to the official, who said he could not reveal the names of the organizations. PLO Executive Committee Secretary-General Saeb Erekat also told official PA television on Tuesday that Abbas signed applications to join UN agencies, but he did not state how many or which organizations. Both the Obama and Trump administrations have asked Palestinians not to join UN agencies, because American law mandates that the US must cut off funding to any UN organization that grants the Palestinians full membership. “No funds authorized to be appropriated by this Act or any other Act shall be available for the United Nations or any specialized agency thereof which accords the Palestine Liberation Organization the same standing as member states,” one US law passed in 1990 reads. Sajid Javid, Britain’s new home secretary, is an unapologetic friend of Israel and a longstanding ally of the Jewish community. Javid is the first Muslim to hold one of the UK’s three great offices of state. Aside from the prime minister, his only equals in the cabinet are the chancellor of the exchequer and the foreign secretary. His promotion this week increased speculation about, and cut the odds on, him succeeding Theresa May in Downing Street. Javid’s background is hardly typical for a Conservative politician. His father, Abdul, arrived in Britain in 1961 with £1 in his pocket. He settled in Rochdale in the northwest of England, working first in a cotton mill and then as a bus driver. The family later moved to Bristol, a city in the southwest, where Javid and his four brothers shared a two-bedroom flat above the shop their parents had taken over. The values of entrepreneurialism, self-reliance and education were drilled into Javid, a self-confessed “naughty” school boy. His mother would take her sons to the library on a Saturday morning and tell them to read the books, as they weren’t going anywhere else. In a joint open letter to the Home Secretary, Sajid Javid, the Chairman of Campaign Against Antisemitism, Gideon Falter, and the Founder of anti-Muslim hatred watchdog Faith Matters, Fiyaz Mughal OBE, have called on Mr Javid to stop a pro-Hizballah march through central London on 10th June. The march is organised by registered charities, principally the self-annointed Islamic Human Rights Commission, which the Charity Commission has yet to open a statutory inquiry into despite repeated complaints by Campaign Against Antisemitism. Campaign Against Antisemitism has also launched a private prosecution against the leader of the march, Nazim Hussain Ali, after the Crown Prosecution Service declined to prosecute him. A Bosnian court said on Thursday it had rejected a request from Tunisia to hand over a Bosnian national wanted on terrorism charges over his alleged role in the 2016 killing of a Tunisian whom the Palestinian group Hamas said was one of its members. The state court concluded that Elvir Sarac, who was arrested this week on Interpol’s red warrant, could not be extradited to Tunisia because the two countries have no bilateral treaty allowing extradition of their nationals for prosecution. Neither Bosnia or Tunisia are signatories to international conventions which could provide for extradition under special circumstances, the court said in a statement to Reuters. It did not provide more detail on further proceedings. Bosnian judge Branko Peric has said Sarac was suspected by Tunisia of “instigating terrorist acts and of membership of a terrorist organization, as well as of harming public order and international security.” Sarac has denied any wrongdoing. Mohammed Zawari, an aerospace engineer and drone expert, was shot dead in December 2016 near the city of Sfax. Tunisian authorities said they had arrested 10 Tunisians but that two foreigners suspected of plotting the killing had escaped. Hamas blamed Israel for the killing of Zawari, who had been a member of its organization for 10 years, it said. To mark the Palestinian "Nakba Day" - the "catastrophe" of the creation of Israel 70 years ago - PA TV and PA TV Live have been broadcasting special fillers between programs and have also created a new logo for all their broadcasts. "From generation to generation, there is no alternative to the return and Jerusalem"
which, according to the PA internal messaging, would then be called "Palestine." "Our return is certain, and Jerusalem is the eternal capital of our state"
University Of California Cancels Pro-Israel Event Over Border Violence. Here's Their Ridiculous Statement. The University of California has canceled an event celebrating the university's study abroad program to Israel in light of the country's response to the violent Hamas-led riots on the Gaza strip. On Wednesday, the University of California Education Abroad Program officially announced the cancelation of the 50th Anniversary Celebration of Exchange with Hebrew University set for June 2, as it would apparently be "inappropriate" to celebrate Israel "at this time." "Like many of you, we have observed the increasing tension on the Gaza-Israel border with sadness and deep concern," reads the official statement. "After careful consideration, UCEAP has decided to cancel the event recognizing 50 years of study abroad in Israel that was scheduled for Saturday, June 2." The statement continued, "While we fully understand the value and impact that study abroad in Israel has had on the lives of UC students since 1968, we feel it would be inappropriate to host a celebratory event at this time." Earlier in the week, riots broke out along the border with the Gaza Strip, a Hamas-controlled area, allegedly in response to President Donald Trump officially moving the U.S. embassy in Israel to Jerusalem. The media have unsurprisingly framed the violent riots as mere protests, though the participants have been upfront about their mission: to commit terrorist acts against Jews. As one Gaza "protester" put it, "We want them to burn." Pro-Palestinian students at UCLA attacked a Lebanese Christian sharing the story of his grandparent's survival of the Armenian genocide for "white supremacy." Police had to be called to a student event celebrating indigenous peoples Thursday evening, where members of Students for Justice in Palestine stormed the room and ripped down Armenian and Jewish flags. Students Supporting Israel at UCLA hosted an event, "Indigenous Peoples Unite," bringing together three speakers from the Armenian, Jewish, and Kurdish communities to talk about "these peoples' efforts in battling controversy, oppression, and revisionism." One of the panelists, Dario Ouliguian, a second-year UCLA linguistics major who is vice president of the Lebanese club, shared his perspective about being a descendent of a survivor of the Armenian genocide. Ouliguian also heads the Alan D. Leve Center for Jewish Studies Student Advisory Board. Activists from the anti-Israel group Students for Justice in Palestine interrupted Ouliguian's story, with one student walking up to Ouliguian, ripping down the "mother f—king" Armenian flag, and throwing Ouliguian's notes away. Other anti-Israel activists then surrounded the room, armed with blow horns and whistles, yelling, "Palestine will be free!" When a female student tried to diffuse the situation, the group only got louder. As alumni of Columbia University graduate programs, including the Law School, we were disappointed to read your statement in support of Katherine Franke. In your statement, you refer to the vital importance of “the global exchange of ideas and viewpoints” and object to “efforts to restrict such exchange.” We wholeheartedly concur. Yet, we suggest your sentiments should be directed to Prof. Franke herself. Prof. Franke has been a vocal proponent of an academic boycott of Israel, as part of her broader support for comprehensive BDS (boycotts, divestment, and sanctions) against the State. As staff members at NGO Monitor, a Jerusalem-based research institute, we have documented the chilling impact of these campaigns on free speech and expression, as well as the inherent discrimination that accompanies such activities. For example, Franke participated as a panelist in the Spring 2016 “Apartheid Week” event, “The Case for Academic Boycott [of Israel],” held on the Columbia University campus. She also signed a pro-BDS “Faculty Petition” at Columbia and is active in a leading American pro-BDS campus group. Additionally, during the abovementioned event in support of academic boycotts of Israel, Franke told an auditorium full of students not to study the Arab-Israeli conflict because it would entail traveling to Israel and studying in local institutions. Franke recommended that a student with such interests should change her research interests in order to comply with the academic boycott of Israel. Eurovision was never meant to be political, but it was politicized by those outraged that a pop artist from Israel should be allowed to participate. Having failed to get Netta Barzilai banned for her role in "supporting apartheid" by singing in the Naval choir, the Israel haters attempted to manipulate the poll results. Eurovision became a tool- not to promote music, or to experience cultural diversity, but to ensure Netta lost. Orchestrated by Australian agoraphobe Sylvia Posadas, the BDS campaign failed. Miserably. A far-right columnist who works for a respected weekly British current affairs magazine wrote a piece sympathizing with the Wehrmacht, the unified armed forces of Nazi Germany. Thursday’s column by Taki Theodoracopulos, a Greek writer who lives in London and New York, is behind a paywall. “It might sound strange me writing in The Spectator from a German perspective, but fair’s fair. I asked my companions which side they’d choose, and all of them agreed that the attacking forces had a better chance of survival than the defenders,” he wrote. While Facebook is taking steps to rid its platform of racist and inciting content, Russian-language social media sites are reportedly letting such material run rampant. As such, it is being seen by hundreds of millions of people, according to a new report from the program Israeli Students Combating Anti-Semitism, a collaboration between the National Union of Israeli Students and the Foreign Ministry. The report focuses on the two most popular Russian-language social media sites: VKontakte, which is similar to Facebook and has at least 477 million registered users; and OK.ru (Odnoklassniki), which has some 200 million registered users. Editor-in-chief Wolfgang Krach said publishing the cartoon, carried in the May 15 issue of the daily, was a mistake and he apologized to readers. Krach later said the cartoon used “antisemitic cliches” when it showed Netanyahu in the attire of Israeli Eurovision entrant Netta Barzilai, who won the 2018 contest on Saturday. The 85-year-old cartoonist said he wanted to criticize Netanyahu’s exploitation of the Eurovision contest for his own purposes and accused Netanyahu of abusing the singer’s victory. A team of judges at the MIXiii-BIOMED 2018 international life science conference in Israel selected as winners of its startup competition a company that is developing a medical blood count device that can be used at the patient’s bedside, and one that is developing an artificial cornea. The competition took place this week in Tel Aviv, and was held by the Israel Innovation Authority to identify companies developing breakthrough technologies in the life sciences. From dozens of companies that applied, 45 companies were chosen to present their technologies at the exhibition’s startup area. Out of those, 10 companies were chosen as finalists who presented their innovative technologies at the conference. On Thursday, Dr. Ami Appelbaum, chairman of the Israel Innovation Authority and Chief Scientist at Israel Ministry of Economy and Industry, said that PixCell Medical,and CorNeat Vision were the winning companies. PixCell Medical is developing a technology to create a point-of-care (POC) hematology analyzer, or blood count device. Point-of-care is a term used for the point of time at which a clinician can deliver solutions and products while with the patient, at the time of care. The Northern Health Science Alliance of England signed a memorandum of understanding (MoU) with the UK Israel Tech Hub to bring Israeli health and medical technology innovations to its network. The MOU was signed on May 16 during the MIXiii Biomed 2018 in Tel Aviv by Suzanne Ali-Hassan, head of corporate affairs for the NHSA, and British Ambassador to Israel David Quarrey. The joint working arrangement will support innovative Israeli healthcare companies establishing research and a presence in the north of England, Ali-Hassan said. “There are well over 1,400 life-science and healthcare companies in Israel whose innovations have the potential to bring great benefits to the North’s hospitals and patient population,” she said. The Northern Health Science Alliance (NHSA) brings together eight research-intensive universities, eight NHS teaching hospitals and four academic health science networks for the benefit of the region’s population of 15 million. “The agreement will further enable British researchers and patients to have access to the latest technology from Israel. And we hope even more Israeli medical companies will now look to the UK as a destination for their growth,” said Quarrey. Israel’s Rafael Advanced Defense Systems signed a cooperation agreement with the Romanian’s Romaero to produce air defense and other weapons systems the two companies hope to offer to the Romanian armed forces. The deal, signed in Bucharest, will include development of the sea-borne version of the Iron Dome short-range missile defense system, as well as Samson remote control weapons systems, and Spike tactical missiles, Rafael said in a statement Thursday. Rafael director general Yoav Har-Even inked the agreement with Remus Vulpescu, director general Romaero, at the lack Sea Defense & Aerospace 2018 exhibition in Bucharest. “The new cooperation will provide a solution to the operational needs of the Romanian army in upcoming procurement plans that were already approved by the Romanian government,” Rafael said. The statement did not give an estimate for how much the cooperation might be worth to the companies. Israel has built a unique “missile net” to defend a new airport, as part of a newly completed segment of its eastern border barrier, a military official said Friday. The 34-kilometer (21-mile) fence runs along Israel’s border with Jordan, beginning near the Israeli Red Sea resort of Eilat and reaching the site of a new airport being constructed in the Timna Valley. The fence, 6 meters (20 feet) high, is part of a broader strategy by Israel to surround itself by protective barriers, including at its southwestern border with Egypt, to prevent terrorists and migrants crossing the border illegally. Part of the new segment is accompanied by a 26-meter “net” developed specifically to protect the new Ramon airport. The missile fence is designed to intercept projectiles and surface-to-surface missiles, the official said. A kibbutz in southern Israel found a positive way to respond to the destruction of one of its fields by a “kite bomb” flown across the border from the Hamas-ruled Gaza Strip earlier this week, the Hebrew news site Mako reported. On Thursday evening, the children of Kibbutz Sa’ad flew 250 kites carrying messages of “peace and love” in a wheat field next to one that was burned. 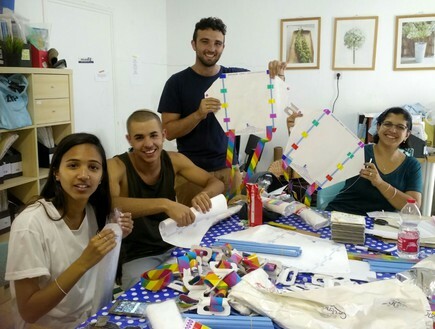 Word of the kibbutz’s plan got out and went viral, and a donor from northern Israel provided the kites. “Why would an Israeli Jew choose to live in the West Bank?” That’s the question that motivates writer Wajahat Ali to travel to Israel in a new documentary from The Atlantic. Ali, who has been critical of Israel, embarks on a personal quest to understand the perspectives of some of the 400,000 Israeli Jews who live in the occupied territory in defiance of international law—and to hear from the Palestinians who oppose them. In his travels through the West Bank, Ali visits the family of a Palestinian terrorist, ventures into the heart of one of the most radical settlements, and speaks to the leader of an NGO focused on creating a dialogue between Israelis and Palestinians. Read Ali's article in the June 2018 issue of The Atlantic: https://www.theatlantic.com/magazine/... Support for this project has been provided by the Henry R. Luce Initiative on Religion and International Affairs of the Henry Luce Foundation.